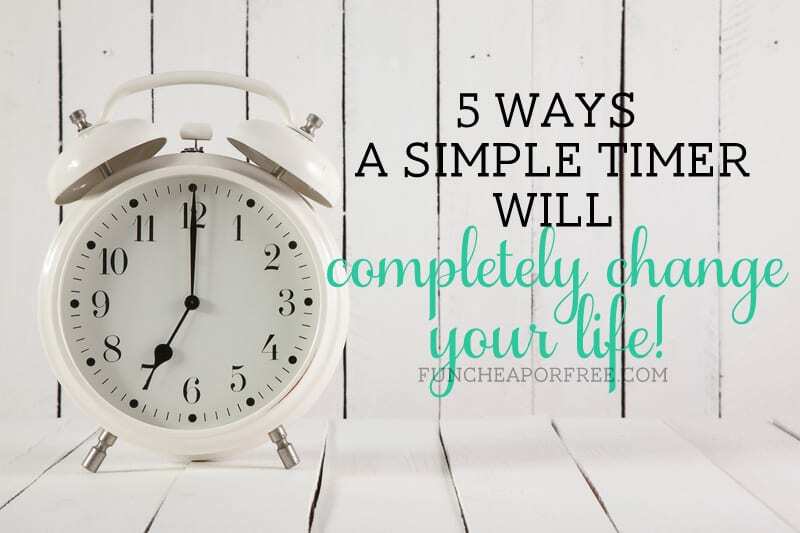 5 ways a simple timer will completely change your life. My kids are young (I have 3 kids, the oldest is 4.5). They are NOT motivated by food. Meal times became a marathon event full of threatening, nagging, and punishing to get them to eat all their food. Sounds dramatic? Yes, it really was. One day I had it. I went to the oven, set the timer for 10 minutes, and announced that anyone who was finished with their food by the time the timer beeped got dessert. The rest of the 10 minutes was filled with chit chat, singing, casual banter – because I wasn't yelling and nagging any more. When the timer beeped, neither of my two older kids (my baby is off the hook…for now…muahaha) had finished their dinner. I dumped their plates (they said they were finished), and Bubba and I enjoyed a huge bowl of ice cream in front of them. They threw a fit, of course…but that's now their problem, not mine. It's all about transferring pressure from us, to that mean ol' timer. 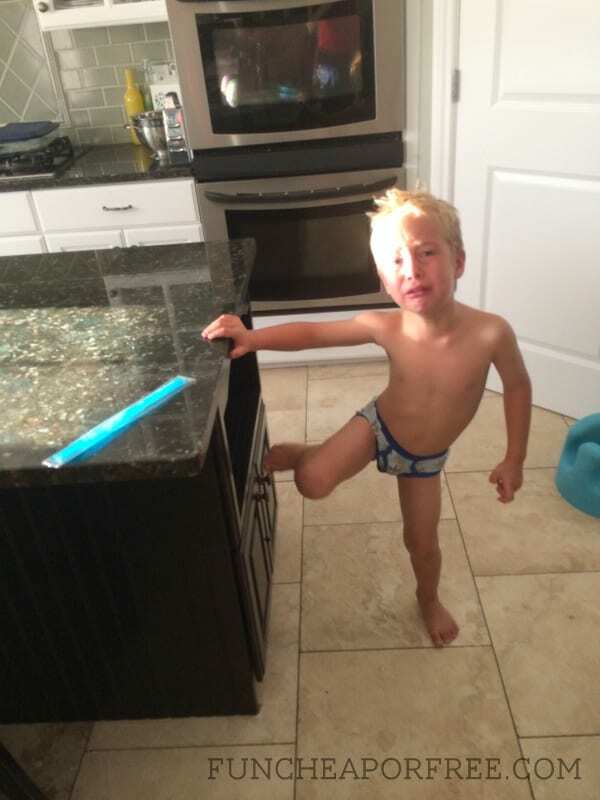 Hutch, sad that he doesn't get to eat his beloved blue Otter Pop because he didn't finish dinner before the timer went off. Keep the dessert simple. We usually just do an Otter Pop or a frozen GoGurt. Sometimes it's a cookie, or even 1/2 a cookie. Sometimes it's 1 piece of candy. It doesn't have to be much, just enough to reward and motivate. We're careful to not give them more than they could/should eat, because they have to eat every bite of what's on their plate before the time runs out to get dessert. They don't HAVE to eat everything that's on their plate…but they do if they want dessert. They can declare being done eating at any time, but every bite has to be eaten (and eaten before the timer beeps) if they want dessert. And they have to remain sitting with the rest of the family, until everyone is done. If they are hungry after dinner, they can have more dinner. No snacks. I only use the meal timer as-needed. Some days I don't need the timer. They are starving, or love dinner, or the stars are aligned for whatever reason and dinner goes off without a hitch. I just play it by ear and if I feel like they need it, the timer comes out. We use the timer for any meal, not just dinner. This really comes in handy on mornings when they have school and it seems like a battle to get everyone out the door on time. 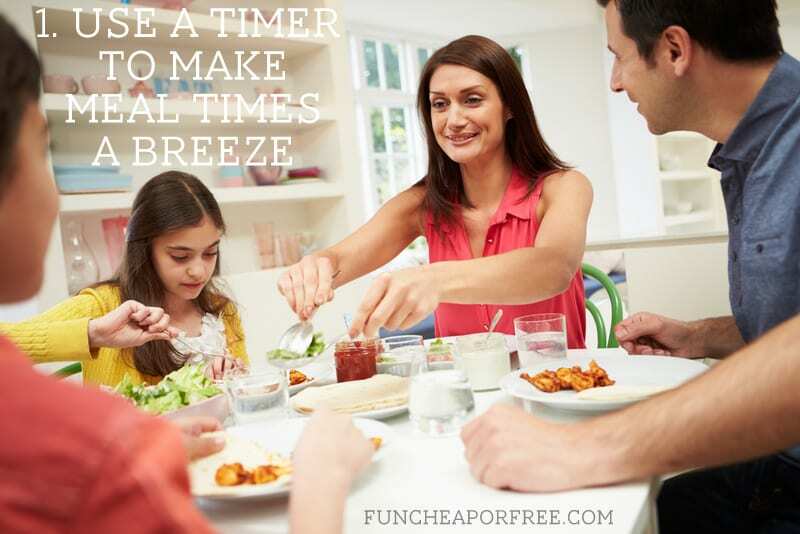 Try to keep mealtimes fun and conversational, even if/when the timer is used. No one will be motivated to come to dinner if it's a total drag! 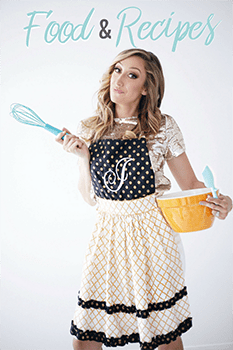 See my “5 tips for making dinnertime something your family will actually look forward to” for tips. 2. 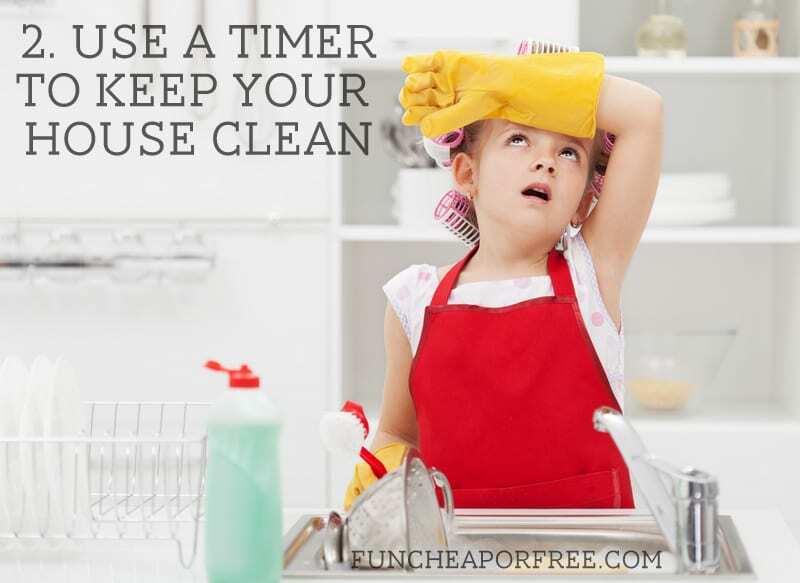 Use a timer to keep your house clean. I started using a simple timer to help me stay motivated, and on-top of messes. When my kids go down for naps, for example, I'll choose one room to work on (like the kitchen). I'll set a timer for 5, 10, or 15 minutes (not usually longer than that). I'll work as hard and fast as I can until the timer beeps. Then I stop what I'm doing, even if it's mid-spray, and move on with my day, or move on to another room and do the same thing. Start with general cleaning first, then move to fine details only if you still have time once the general cleaning is done. Start by picking things up and putting them where they go. If they belong in another room, put it all in a laundry basket, then take 1 of the minutes to run around and put everything back where it goes. Be sure to stop when the timer stops! You're setting the timer for a reason, mostly because you're short on time and want to stay motivated. If it becomes a marathon event every time you do this, your subconscious will want to do it less and less. Get your family involved! We will often do a 3 minute “blitz clean-up” before dinner and make a game out of it. Whoever can pick up the most items, or get their specific job done in the 3 minutes gets a piece of candy before dinner, or gets their stick moved up on their behavior chart, or gets a high-five from us. 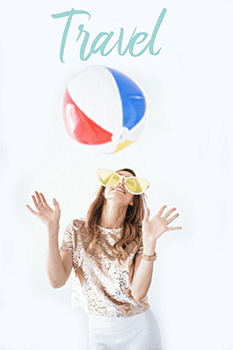 See more tips like this in my “spring cleaning tips” post! I found myself getting burned out and cranky with my hubby and kids because I wasn't taking time to take care of ME in the day. Ironically, it led me to being less productive because I was slugging through my day, unmotivated to accomplish much. Thanks to a little timer, R&R is more balanced for me now. 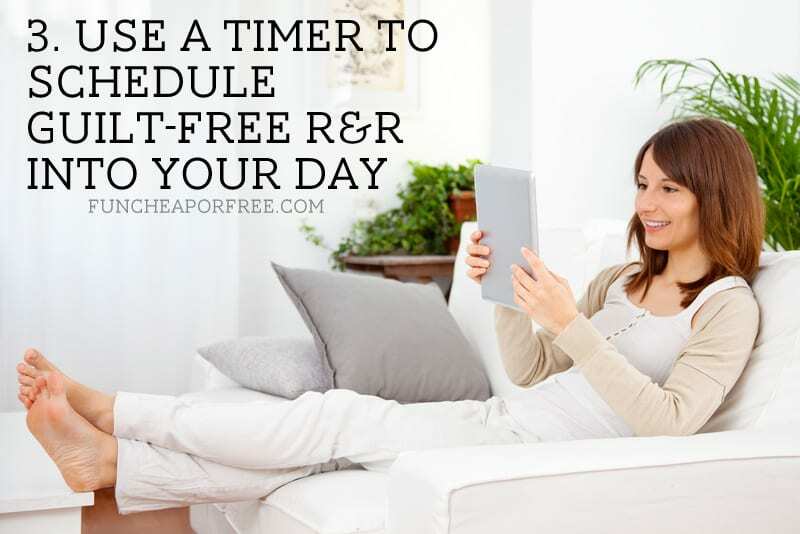 I will choose certain times in my day – usually once while my kids are napping, and once at night right after we put the kids down, before I tackle the dinner mess and tornado from the day. I will give myself guilt-free time to do whatever I want – social media, Pinterest, sit and watch pointless reality TV, read, nap, whatever! When the timer goes off, I feel reenergized and ready to tackle all of the things I need to accomplish before day's end. The amount of time I set on the timer varies from day to day, depending on how I feel or how much I do/don't need to get done that day. Either way, it's helped me slow down, and focus on ME for a minute. Literally. We aren't huge TV watchers in our house, but we certainly love a good show or kid movie to help ease the kids into the day, motivate them to “earn” screen-time, or just help keep them occupied for a minute so I can rush and finish something that needs finishing. No matter what the day, time, hour, show, or reason, my kids almost always throw a FIT when I walk in and turn the TV off. I was so sick of it! So now, I give my kids fair warning. When it's time for the TV to go off I will tell them, “3 minutes until the show gets turned off, even if it the [show or game] is not over!”. I set the timer on my phone, and set the phone right next to them. Once the timer goes off, I sing-song cheerily “Yay! You guys got to watch so much TV, how fun! The timer is telling me it's time to turn it off now, can't wait for you to watch it again next time!”. And CLICK. The screen (iPad, computer, TV, phone, etc) goes off. It's AMAZING the difference. 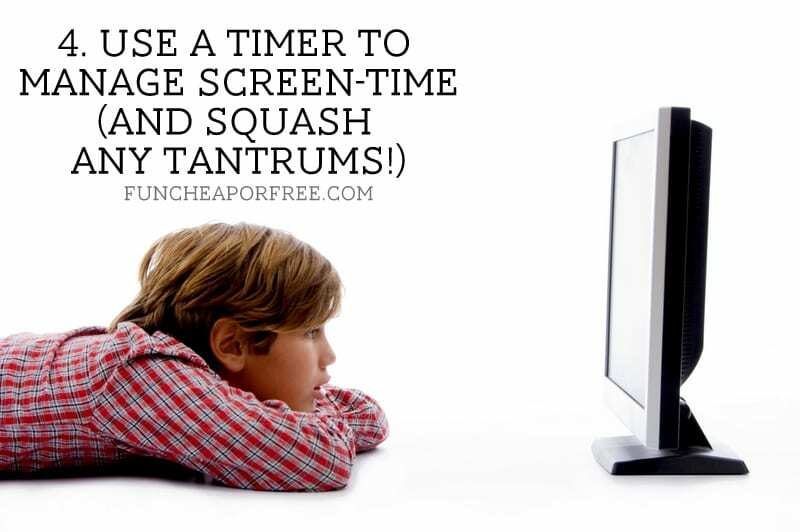 It's helped cut down dramatically on “screen withdrawal tantrums” especially. It also keeps us parents in check and helps as avoid turning our kids into zombies by sticking them in front of a screen too much. I know some parents that have their kids earn minutes of screen time for every 5 minutes they play outside (or do something active, or read, etc.). There are lots of ways a timer can help make the screen-time battle more peaceful! Note: This timer method works well for ending any sort of activity for kids – playing at a park, leaving a friend's house, time to clean up toys, etc. By giving them even one minute warning and setting it on a timer, it helps give them time to mentally prepare for the fun to end, and again, transfers pressure off of you! 5. 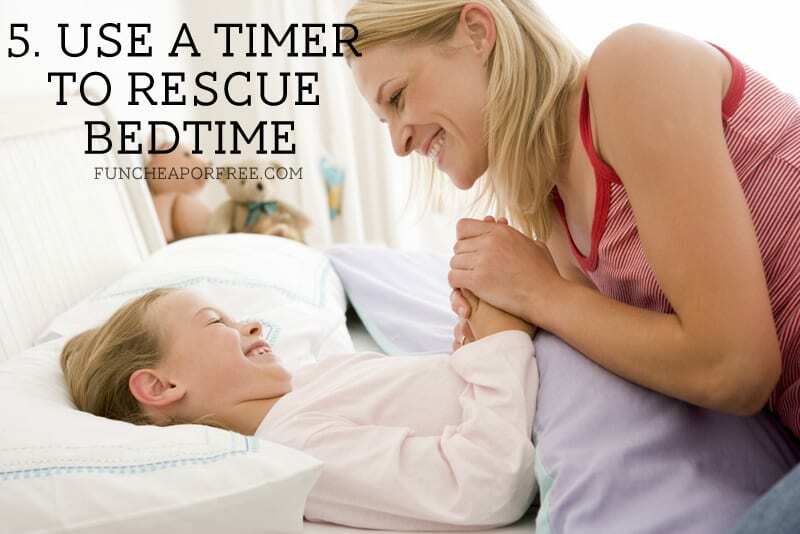 Use a timer to rescue bedtime. My daughter Priya might only be 3, but boy that girl is a CHATTER BOX! At night when we're tucking her into bed, it's like someone put a quarter in her and gave her a shot of Red Bull. She talks at lightening speed, and finds any and all reason to keep us in the room; “I need a drink”…”I want another story”…”I want to tell you something”…”I want to wear different jammies”. We found bedtime with Priya dragging out to a 30, 45, even 60-minute process some nights. All the while my quiet 4 year old wasn't getting much quality time with us at all, simply because he wasn't demanding it. Now we've started doing “tuck-in time” to even the playing field, and make sure kids are getting quality time at bedtime…while keeping the process down to an efficient timeline. We read books and pray together as a family first. Then we separate the kids into their own rooms for individual tuck-in time. The kids get 1 minute of tuck-in time per year (so Hutch gets 4 minutes since he's 4, Priya gets 3 minutes). We can read extra books to/with them during their tuck-in time, or we do “talking time” if they prefer. Whatever it is, it has to be done in their bed, with them laying down. We set the timer, and I say “What would you like to talk about, Priya?” and off she goes! She rambles at record pace for the 3 minutes. We also use this time to talk about what is going on the next day, exciting things coming up on the calendar, etc. When the timer goes off we both put our hands over our mouths and stop talking, mid-sentence (whether it's “talking-time” or reading together). If Priya, for example, tries to keep talking I cut her off and whisper, “the timer is beeping! We can't talk any more, you'll wake your [stuffed] animals!” and try to make a game out of it. If she starts whining or fighting me on it I'll get more stern and say something like “Uh oh, if you talk after the timer beeps then we have to take away 1 minute of tuck-in time tomorrow” and that tends to do the trick. Tuck-in time WORKS. Like. A. Friggin. Champ. For Priya, she gets time to tell us all sorts of things that are on their mind, and there is a reasonable stopping point without us turning into mean monster parents. It works in the opposite way for Hutch. It gets him talking, and helps us engage in conversation with him that we might not think to do otherwise, because he simply doesn't talk as much as Priya! He gets several precious minutes of undivided attention from mom and/or dad, which makes him feel loved and helps us get to know him better. The kids can earn extra time on their behavior chart, or if we feel like they are extra wiggly or needy that night we will sneak in an extra minute or two. So, there you go! Those are just 5 of the ways I use a timer in my day to help me stay efficient, and to ease tension and tantrums in the Page household. Do YOU ever use timers? If so, how does setting a timer help in your day? Please fill us in by leaving a comment! Last chance to buy Finance Date Night tickets for Sept 20 class! Ok, I’m new to your blog (my mom’s been a fan for years) and this post is AMAZING. I love it!! There are so many ways I can see us using this in the future. I have a 6 month old, so we obviously aren’t there yet (obv) but still pinning it for future reference! Thank you!!! I’m so glad you like it! The list could go on and on, it’s amazing what a little timer can do. Congrats on the baby 🙂 Thanks for reading! I love using a timer. It is my best friend. I am now going to try the “dinners up” timer! Brilliant! I LOVE the timer method! Especially for laundry, since that seems to be my Achilles heel. I’ll let 3-4 loads of clean laundry pile up & then I feel too overwhelmed to tackle it. I’ve learned to set the timer for 20 minutes & give laundry my full attention for that time & I ALWAYS finish. I always feel so accomplished! That’s such a great idea! Thanks for sharing! YOU ARE AMAZING! Seriously, this is why you’re my favorite. I NEEDED this in my life right now! I’m so overwhelmed, I just haven’t been doing any of it! This will help my Type A personality and my lazy attitude lately. Seriously, thank you! This is such a funny coincidence – this very morning, I used a timer to get myself ready while my kids were eating breakfast. I set it for 20 minutes, but since everyone was happy AND I didn’t have mascara on yet, I set it for 5 more, then finished my routine with time to tidy up the bathroom. 25 minutes to shower, dress, hair and makeup – not bad! 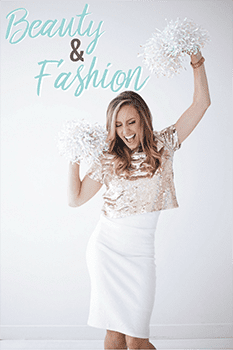 !The best part is it forced me to choose my outfit and get it all done without obsessing. It worked so well, we were out at the bus stop 10 minutes early! I am SO inspired to start timing all sorts of things. 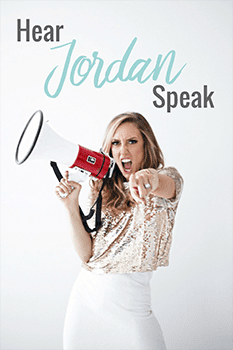 Thanks for the tips, Jordan! I’ve used timers for kids who struggle w/ homework and practicing music… I’ve heard the concept of using it for chores, but(duh) haven’t used it for myself yet. I think my time will be better managed if I do!!! Thanks for the reminder! Ooh good call on using it to do homework and music!! Saturday mornings are usually my big cleaning days so I use a timer to make sure I don’t get worn out in one area. 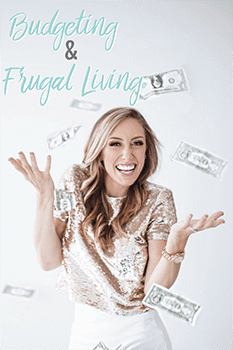 It can vary too – 10 min in the bathroom, 10 min picking up and sorting clothing, and 5 min vacuuming the living room. Just something that helps me know the end is in site and I wont have to do that one job forever, which is how it normally feels am i right? I love the idea of using it to break up big jobs!! TUCK-IN TIME?!?! You are a genius!! Just last night my girls spent almost 2 hours doing the I need a drink… I need to potty… I need to tell you something…. I want another hug/kiss…. But I mean seriously how can you say no to a hug/kiss? Tuck in time will be great! They will both get their one on one time! After they finally went to sleep last night I hit Pinterest looking for something to help me. I didn’t find much, but I’m so glad I checked your blog today! You are great! Thanks for the tips!!!!! Yay I’m so glad you like the idea! It’s a game-changer in our house, so I hope it works for you. I love the idea for ending bed time. We do it to start because it helps our autistic son, but he’s fine at the end-never thought to implement it to end the night for our daughter. Great idea. I also use a timer for reading time. For every 10 minutes our daughter reads out loud to me she earns 10 minutes of TV time. It really helps kids know there’s a definitive end to activities and they don’t need to worry that mommy forgot. This has been a game changer at house this last week or so. Great idea with the reading!! I’m going to use that for sure! Loved this. I would much rather the timer be the bad guy than me. So, maybe I am the last to know, but I just asked my iphone to set a timer and Siri asked me for how long! Love it. And my toothbrush has a two minute timer that I use to tidy up my bathroom with my free hand while I brush my teeth. This is so great! I have the same issues at dinner time and bed time. I have 3 under 4, and this will make my life so much easier. Thanks for posting!! When my list for the day is super long, or both kids are at home and both want my undivided attention to play with them. We use a timer Mom gets 20 mins for baking, cooking, cleaning. Kid 1 gets 20 mins for play of their choice(barbies, ponies) kid 2 gets 20 mins for play of his choice. and we go around and around like that all day. I usually don’t feel like SUPER accomplished but at the end of the day everyone felt like they got a chance to do what they wanted to do and have a little bit of say in the activities. It cuts down on fighting, kids getting bored and intentionally wrecking others play and motivates them to share, think together and participate in each others interests. “timer days”, at the end of the day are always THE BEST DAY EVER MOM. These are great tips. Thanks for sharing. I do use the timer now to control screen time. I will be using it for cleaning up! Love it. – Why do you consider the dessert as a reward ? Either you consider it as something healthy and the kids get them. Or it is not healthy, and then there is no point in buying them and offering them to the kids. I mean daily ! The timer idea is a life saver! I have no little ones in the house any more but you’d be amazed how much of a mess 2 grown men can create in a days time. Alot of days I look at it and think ” it’s going to take me forever to get this back to normal…” But I take a deep breathe, set the timer for 15 minutes and take off. It never fails to surprise me how much I can actually do in a mere 15 minutes! 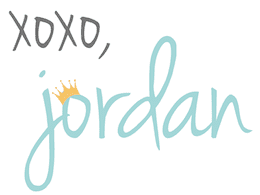 Glad I found your blog, Jordan, and loads of good info! I’m going back through time, reading and enjoying! Timers are GREAT things… I use them all the time at home and at work, for all sorts of things! It’s fabulous and shifts the pressure off. However, like Cecile, I’d be weary of using a timer at meal times the way you do, but for a different reason altogether. 10 minutes is really not a lot of time for anyone to finish a meal, even a toddler, and encouraging to gobble up a meal can lead you to all sorts of trouble down the line with overeating simply because the digestive system simply hasn’t had time to signal the brain that it’s full. Yes you control their portion size… now… but when they hit the teenage years you won’t be able to do so anymore and by then it’s a learned behaviour. Countless medical studies have shown that overweight people tend to eat far faster than normal-sized people. I’m *not* saying that eating fast makes you fat, but that fat people, on average, eat too fast and as a result often overeat. The satiety hormone doesn’t hit the brain until it’s far too late and by then they’ve eaten too much. Do that too often over time and your stomach stretches, so it takes more to fill, which means more food is needed to trigger the release of the hormones, etc…. Vicious circle. Plus, shoving food down is really bad manners (as is dawdling forever over a meal for that matter). Yes, there are days you’ll need to get them to eat quickly for some reason or other, but it shouldn’t be the norm. Amazing feedback, thanks for sharing! I love the idea of using a timer for cleaning. I’ve actually been doing this for a while, just without the rigidity of the timer, which I think would help. I’ll usually look at the clock when I’m not in the mood to clean and tell myself, “You just have to clean for 15 minutes. After you do that, you can sit down and read/watch tv/go to bed.” Usually, I end up cleaning for longer, because I get into it, but the finite time definitely helps me get started. Now, as for the timer at dinner, I completely disagree with this. First of all, I don’t believe making my children “clean their plates” is good for anyone in the family. It can promote overeating, it can make food feel like a punishment, and it doesn’t allow for children to form their own opinions about what to eat. We make our son try everything once, but we never force him to eat everything on his plate. He stops eating when he is done eating. If there’s a full plate left, we remind him that that’s all the dinner he gets, and he either tells us he’s done, or he sits down for a little more to eat. Some nights he barely eats anything, and others he asks for two more servings. Obesity is a huge (no pun intended) problem in the US, and “cleaning the plate” is one of the many contributors to that problem. Feeling free to leave food uneaten is an important part of learning to understand your own appetite. Adding a timer to that not only communicates that you shouldn’t pay attention to your own hunger cues, but also that you have to cram it into your food-hole as fast as you can. (It can take me upwards of half an hour to eat my full dinner, between the socializing that happens at dinner time, and toddlers take even longer.) At the same time, you don’t want dinner to be a fight, which I understand. But I just don’t think a timer and a plate-clearing requirement are the way to do that. 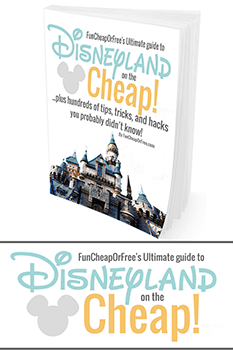 I am new to your site (known about it for awhile but recently got hooked on it) and have been reading my way through lots of your posts! I love this one. I set a timer sometimes but this is motivating me to use it more, especially for me. I, too, am amazed at just how quickly I can get something done in a short amount of time. One thing I’ve been doing lately when a daily task feels overwhelming or I just feel unmotivated to do it, is thinking in my mind, “ok, how long does it really take to do the dishes. 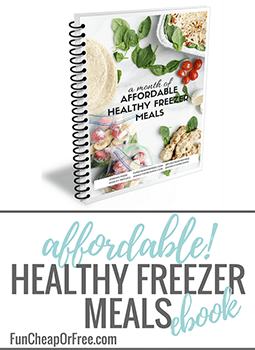 it only takes 10-30 minutes depending on the meal so just get it done. You won’t regret it if you get it done but you will regret it if you don’t.” It helps me to move forward and do it even if I don’t feel like it. Knowing that it really doesn’t take that much time really helps! I also do things like trying to see how much I can get done while the toast is in the toaster or other things. I love a good challenge and its very motivating to me! Hi, I work from home so I set a timer for my job and focus completely on work during that time. Once the timer goes off then I get up and take a break by cleaning something or getting a snack. I like what you said about stopping immediately when the timer goes off. I need to work on this! Thanks for a great article! I used a timer to speak with my manager when I needed his time which is very valuable. I crossed his door last week and said I only need 10 mins and he agreed. I kept to my 10 mins and was done while I kept my phone on my knee so it was out of his sight and clicked the timer which was on vibrate so I could feel not hear it when it went off. He was happy and I got the answers that I needed. Love using a timer. I race the timer. Accomplish so much. I recently started using the timer for me time and for some chores. Works like a charm! I’ve been using the timer for YEARS with all my kids! The biggest thing is of course follow through, if you ever give in and give more time when they ask then it won’t work 🙂 when my daughter was little (pre-cell phone) if i didn’t have a timer at they playground all i had to say was “when the timer goes off we are going bye bye” and then just say “beep beep beep” when i was ready to go 😆 she never fussed even when other kids where kicking and screaming lol. With My 19 month old now we’ve begun using it for everything. At night i set the time and say, when the timer goes off it’s time for bed. When it goes off we all kiss goodnight and Daddy leaves the room. I turn off the light, sing him his lullybye and lay him down with no fuss. (Now keeping him asleep is the issue, although if we don’t go in he does go to sleep again). Time out…yep he sits like a quiet little guy in his time out chair until the timer goes off! Love it!